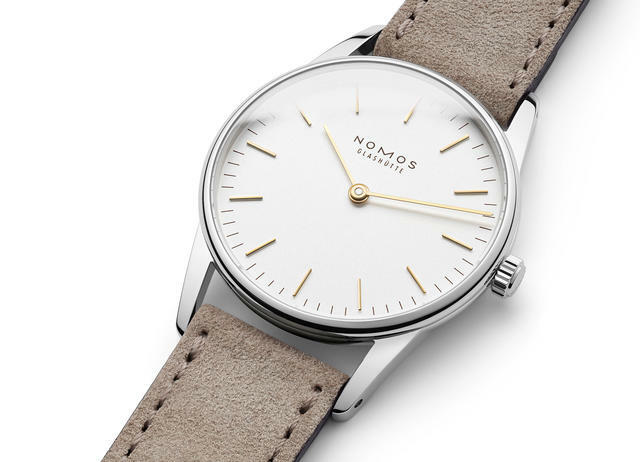 Overshadowed by the debut of the first Nomos sport collection at Baselworld 2109, this four-watch set of small-size manual-wind models underscores the German-based watchmaker’s proven ability to build appealing new collections based on its own successful designs. 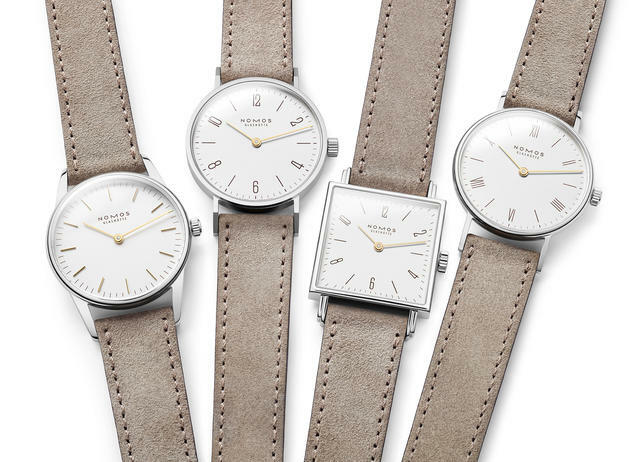 The four new Nomos Duo models, all with white silver-plated dial, a brown dial font and a beige-colored velour leather strap. 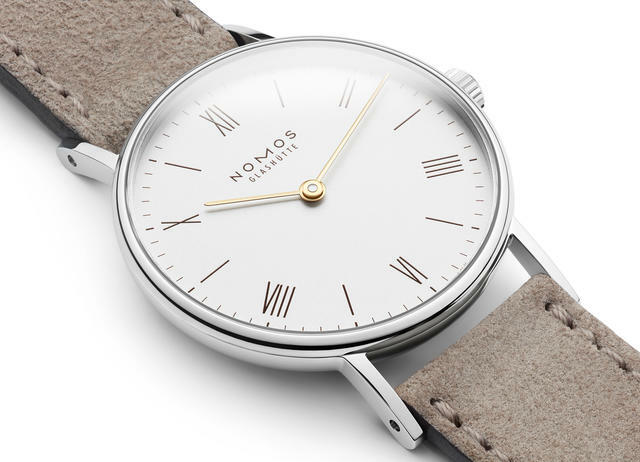 Specifically, the Nomos Tangente, Orion, Ludwig and Tetra are four collections that Nomos has remade in various guises in the quarter century since they debuted. 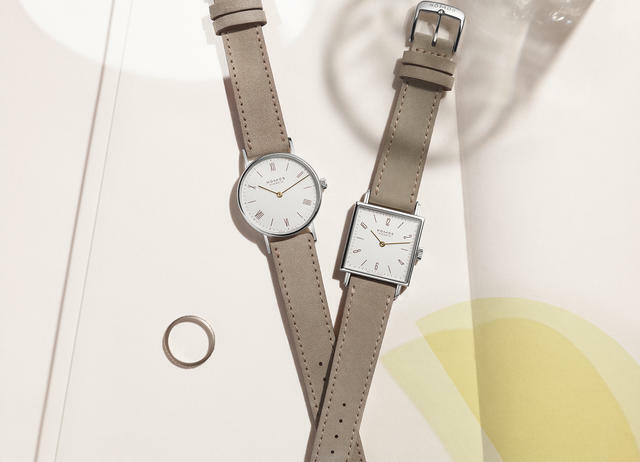 Just a few weeks ago, Nomos again showed how it can re-interpret these four collections with Duo, a set of these same designs sized in 33mm cases (except for Tetra, which measures 27mm square) and with the most basic two-hand (hence Duo) operation. 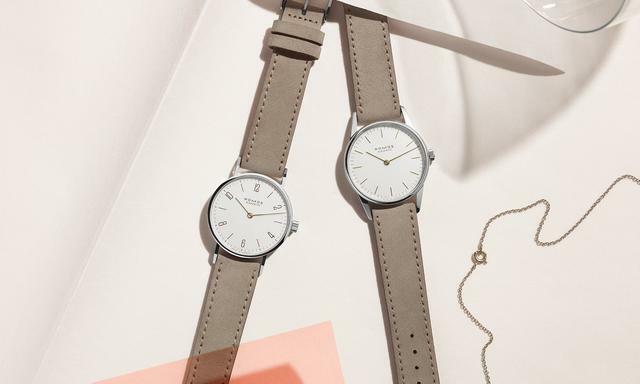 The Nomos Tangente Duo remains slim. 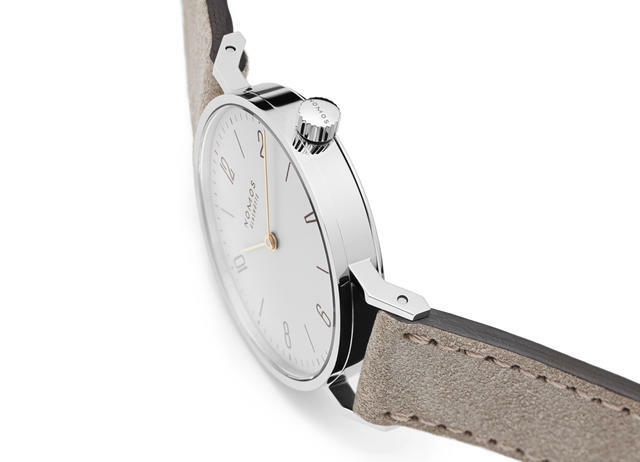 Each made with the Nomos Alpha.2 manual-wind caliber, Nomos Duo models are here also aligned with each other in their dressing. 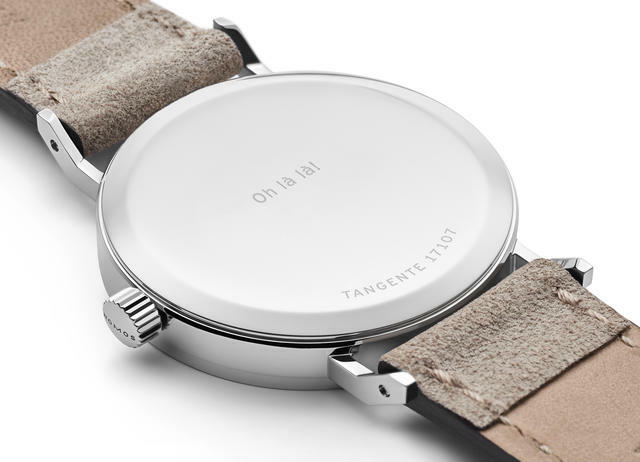 Each is made with a steel case, a white silver-plated dial, a brown dial font and a beige-colored velour leather strap. 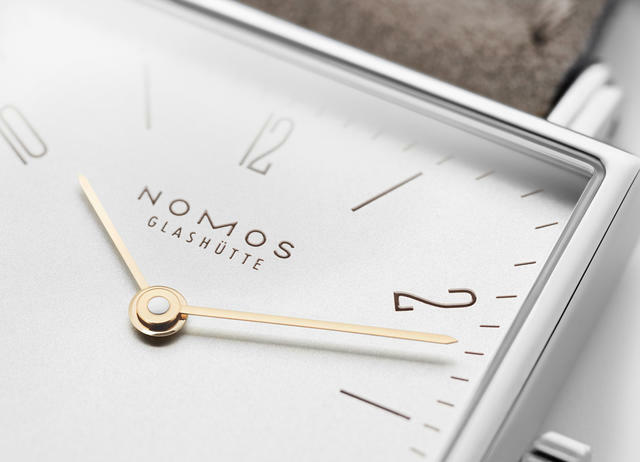 In addition, if requested Nomos will engrave a message or a name of your choice on the steel caseback. 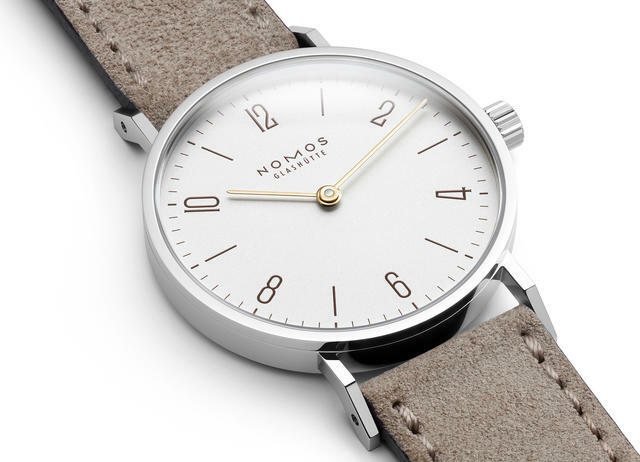 All Nomos Duo models can be engraved on the back for free. 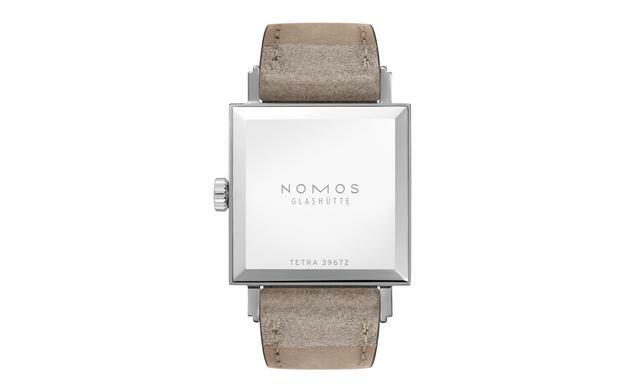 The Nomos Tetra Duo caseback, which Nomos will engrave upon request. 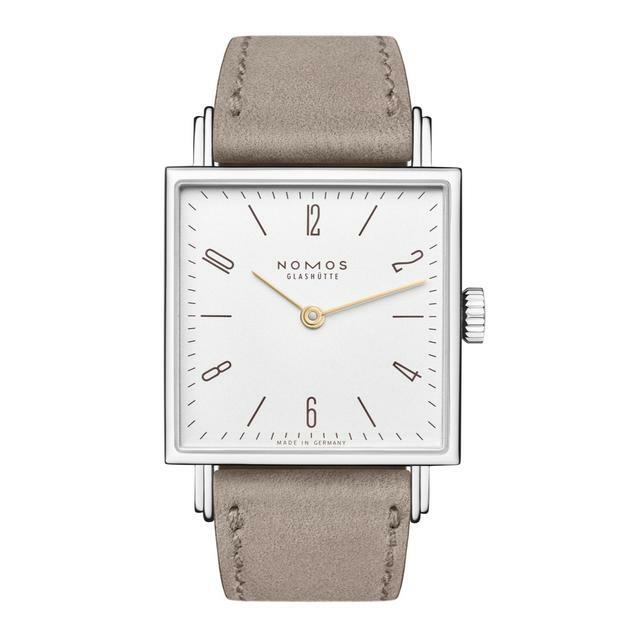 Because Nomos has minimalized the function of the Alpha.2 caliber by removing the small seconds indication, and without a see-through caseback, these Duo watches are priced less than comparable three-hand, clear-caseback models. Prices begin at $1,380 for the Ludwig Duo and rise to $1,660 for the Tetra 27 Duo.